This project will accelerate the development of philosophical work on free will, agency, and responsibility in Latin America, expanding the capacity of Latin American scholars to fully contribute and participate in cutting-edge work on these topics. Key activities of the project include: (1) a trio of intensive midyear seminars; (2) two postdocs at Universidad de los Andes; (3) six visiting fellowships to UC San Diego; (4) support for translation and copy-editing, to aid seminar participants in preparing for publication in Anglo American journals; (5) several awards for presenting work, and for publication in prestigious journals; (6) teaching tools that can be used to build curricula in Latin America; (7) a workshop organized by the postdoctoral fellows; and (8) a capstone conference in an academic institution in Latin America. 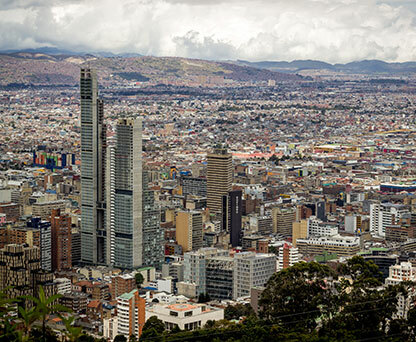 The centerpiece of the project is a trio of midyear seminars, each three weeks long, to be held in Bogotá, Colombia. Courses will be taught by distinguished scholars in philosophy and adjacent disciplines. The project will train roughly 30-45 scholars—predominantly in the early parts of their careers—to pursue high-level work on free will, agency, and responsibility in their home countries and universities. Crucially, the aim is to take participants past a purely historically-focused approach, to being contributors in the contemporary literatures, working in collaboration with Anglophone scholars. This project will increase the number of scholars working on free will and related topics. It will increase the number of classes taught on the subject matter, reshape philosophy curricula, academic culture and public discourse about free will, and will enable philosophers in Latin America and beyond to function as colleagues and collaborators in understanding the deep and central questions surrounding free will.